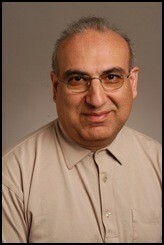 Mustansir Mir is University Professor of Islamic Studies at Youngstown State University. Originally from Pakistan, he has taught at colleges in Lahore, at the University of Michigan, and at the International Islamic University in Malaysia. His main interests are Qur’anic studies and Iqbal studies. Recent publications include Iqbal: Makers of Islamic Civilization(2006) and Understanding the Islamic Scripture: A Study of Selected Passages from the Qur’an(2007). He co-edits the journal Studies in Contemporary Islam. Mir earned his PhD from the University of Michigan. Modern Approaches to the Qur’an: Varieties of Twentieth Century Tafsir, ed. Suha Taji-Farouki. Oxford University Press, forthcoming. Biographical Dictionary of Islam, ed. Mustafa Shah. I.B.Tauris, forthcoming.